The Art of Zootopia is such a treat in the way that it not only revisits the movie’s delightfully heartwarming characters and fantastic art, but gives us an engaging look at what went into the making of Zootopia. The book starts with author Jessica Julius describing the movie’s original story pitch – a 1960s spy story – and how it evolved over four years into the modern day tale of underdogs, prejudice, and fighting for justice for all. She gives us the scoop on how the characters were developed (balancing a feminine yet tough, naïve yet sharp, optimistic yet challenged bunny cop isn’t so easy! ), shows us amazing “sets” I don’t even remember in the fast-moving film, and she lets us in on all kinds of fun details, like the fact that it took eight months to get the various animals’ fur just right (color, texture, and direction of fur growth takes more contemplation than I realized). We are also privy to many sketches and scenes that were eventually cut from the film. 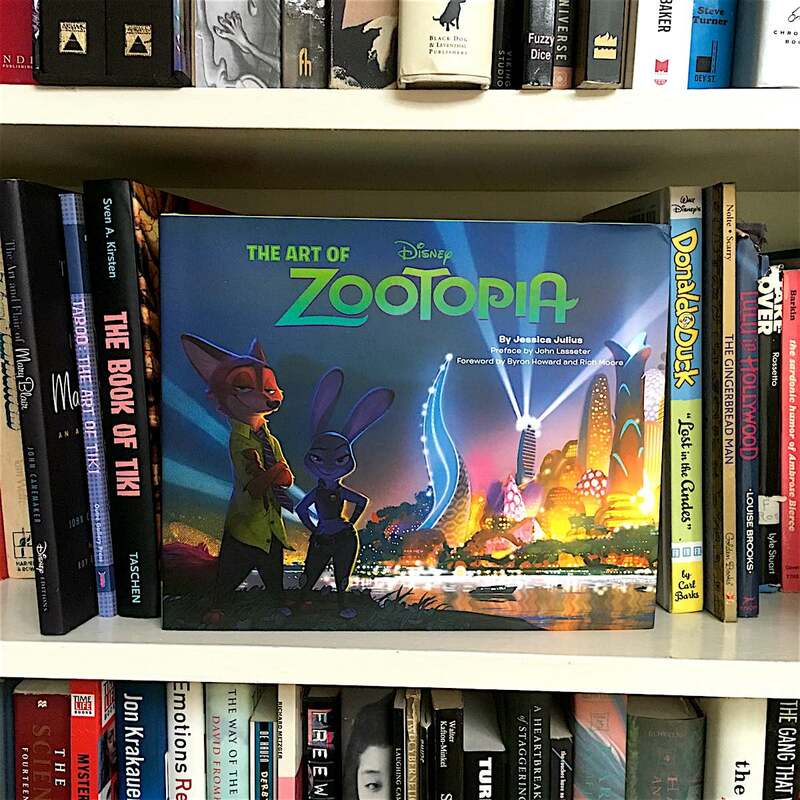 Just released today, The Art of Zootopia is both a captivating companion book to the movie, as well as a stand-alone coffee table book that doesn’t need any knowledge of the movie to be appreciated.